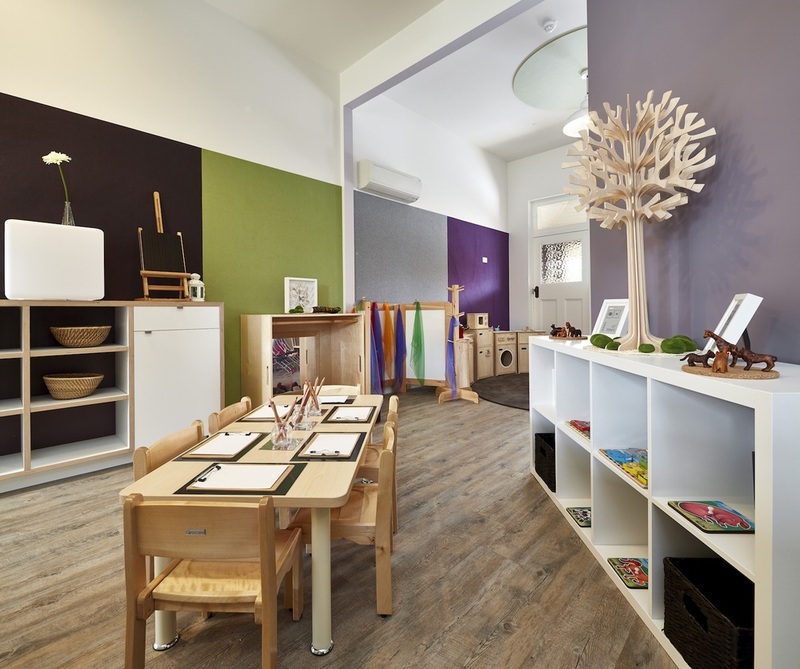 The Bambini Newtown Early Learning Centre accommodates 92 children and offers various sized playrooms and play areas. 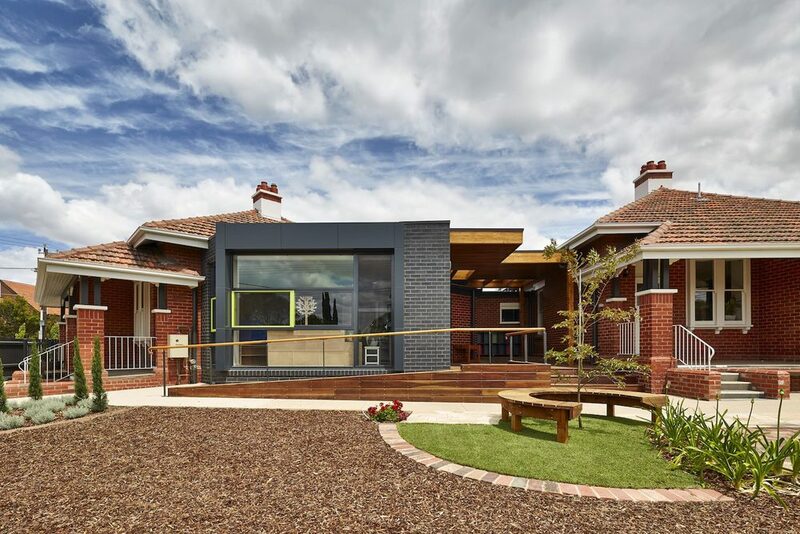 The design incorporated the reuse of four existing heritage listed brick cottages and modern infill buildings, that create a connection between old and new. 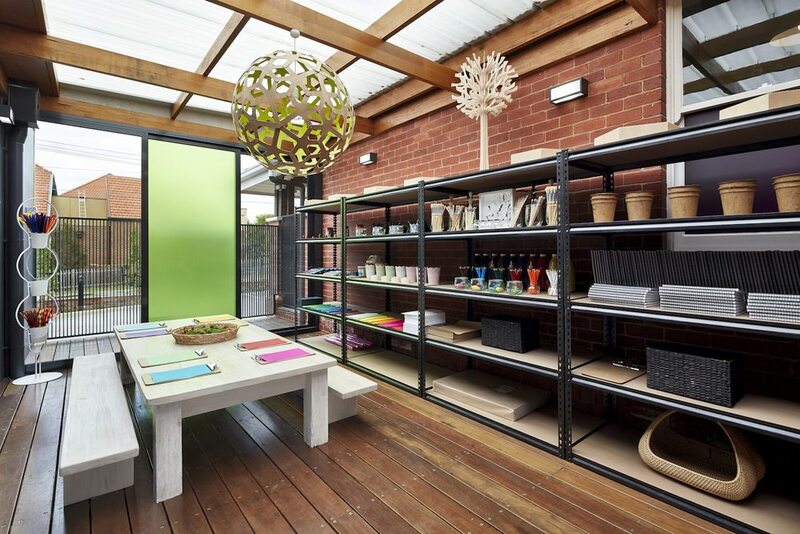 A covered, decked verandah area ties all parts of the building together and acts both as access path to all playrooms and sheltered play area. The design received a National Trust award in April 2014.